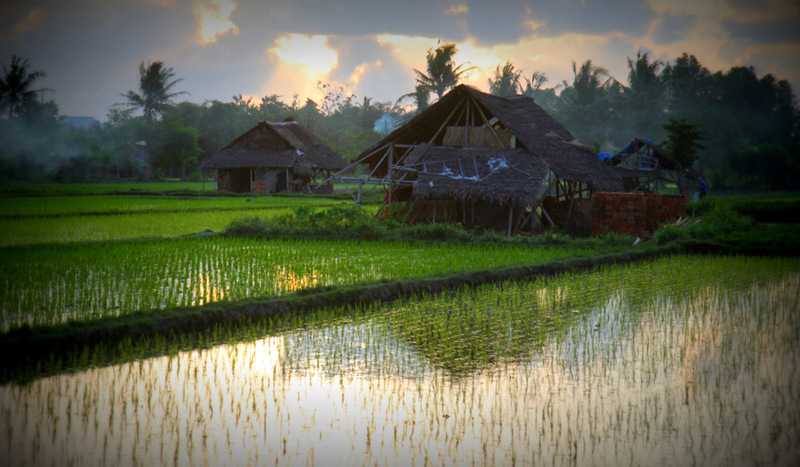 Jeblog is about 10 minutes south-west of the city in Jogjakarta, an area that still retains a lot of rice paddy’s and traditional Javanese village living. In the study of ecology an ‘eco-tone’ is the area where two different ecological communities meet and overlap (like an estuary where ocean and freshwater meet or like in Australia where Rainforest and dry Eucalyptus vegetation converge). In Permaculture we use the ‘edge effect’ (or eco-tone effect) to increase productivity. An eco-tone is usually always synonymous with increased biodiversity and abundance of life. 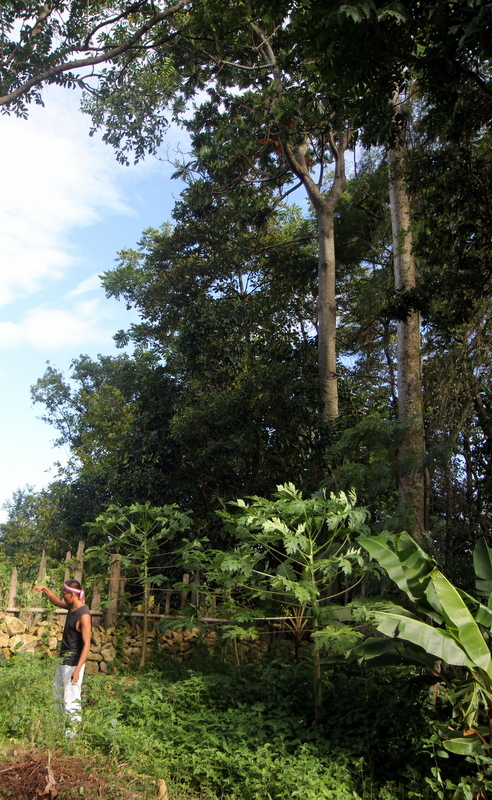 In one sense you could say that this part of Jogjakarta is very much an eco-tone (both culturally and ecologically). Where the old and the new overlap and intermingle. The city and the village life exist in the same realm. It is an abundant place for creating social change. There are a lot of artists and social activist who live in this area, as well as many rice farming javanese villagers who still know how to grow food and build using bamboo. Integration is key to community resilience and this is something Permablitz Jogja aims to achieve. Our target area is a 10 x 10 meter backyard. The photo above was taken back in October 2012 during the dry season. The site contains abundant opportunities for Permaculture implementation and access to free local resources (rice straw, cow poo, bamboo). bare soil with a very small clump of young banana trees and 2 small papaya. a large pile of sandstone rocks ideal for garden bed edges and rock wall. Next door there is a structurally diverse food forest. a range of micro-climates due to shade from buildings and nearby trees. Before Paul returned to Australia we made a rock wall and a circular garden bed. … The rest was left to natures awesome regenerative powers. And we returned to the site in February 2013 the yard was covered in a plethora of vegetation, perfect for soil regeneration and site stabilization during the wet season. Most of the site was now blanketed in various pioneer plant species (also known in some circles as ‘weeds’). Dalih examining the soil structure. (volcanic sandy loam). 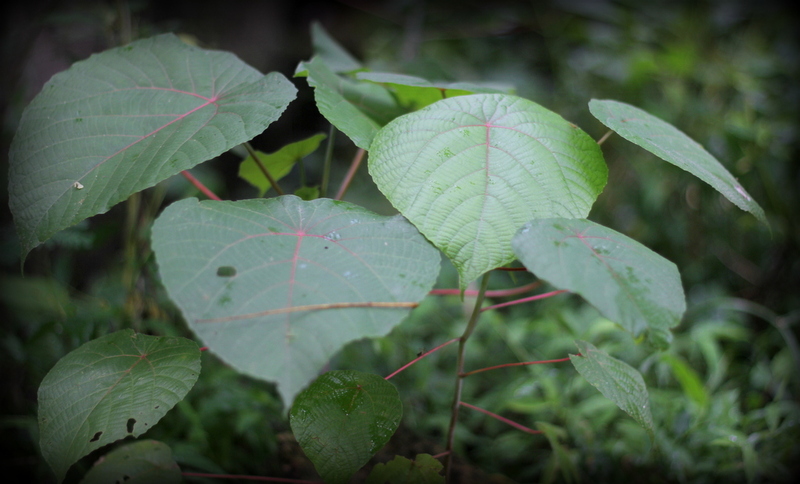 The process of natural regeneration was well under way and interestingly a pioneer genus common throughout the Australasian region (Macaranga) had already germinated and by using it’s bio-pholtoviac solar powered leaves, was attempting to convert the area back into a rainforest eco-system! And the once small banana and papaya are now almost ready to harvest! 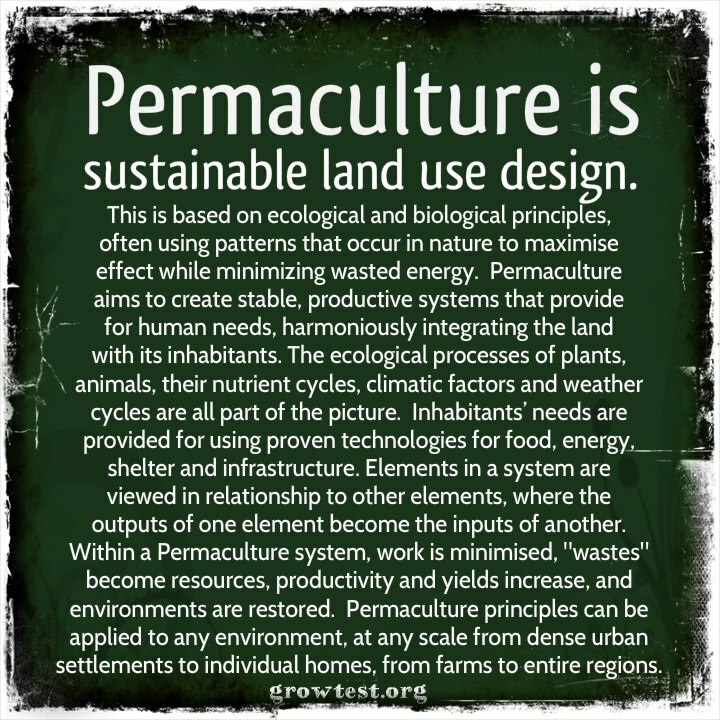 The intent for this particular site is to establish a productive edible garden using Permaculture principles and design. As well as this we want to nurture and network with the growing community of urban agriculturists, make connections with local people and implement systems of sustainability in our own lives. • Create rectangular shaped bamboo chicken house. • Make a compost pile using materials sourced within 500 meters. 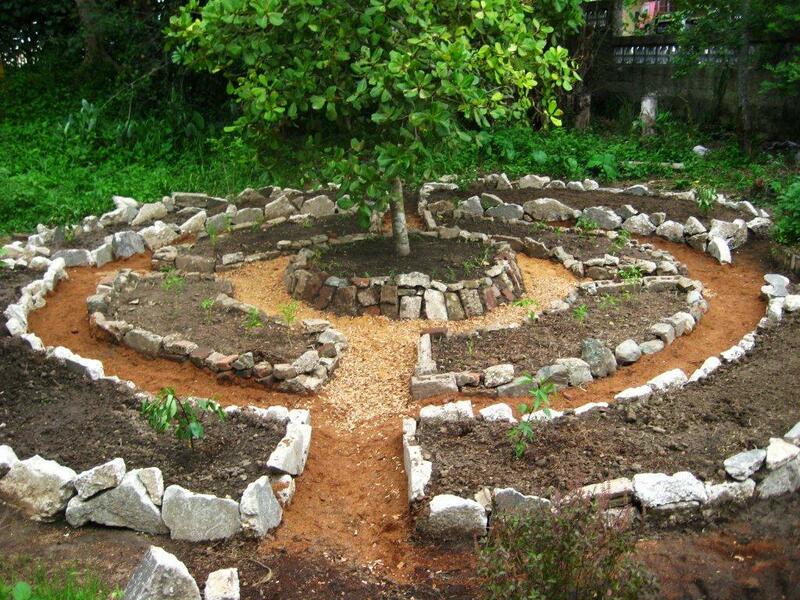 • Build a herb spiral in center of garden. • Design a worm farm using recycled fish tank. • Establish a small nursery system for growing seedlings. The design is not absolutely fixed, we always allow for the input of any spontaneous collective creativity during the Permablitz. Having said this, the general placement of design elements and how they inter-relate will follow very closely our design plan. 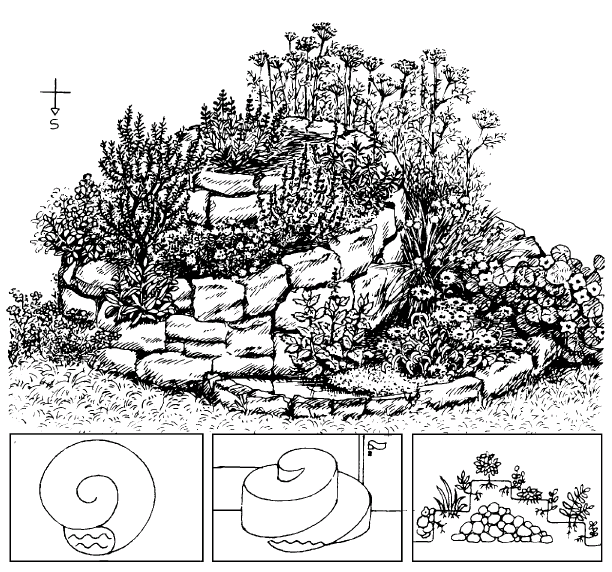 A herb spiral creates a variety of micro-climatic niche for the different needs of your plants (more or less water, light, etc). 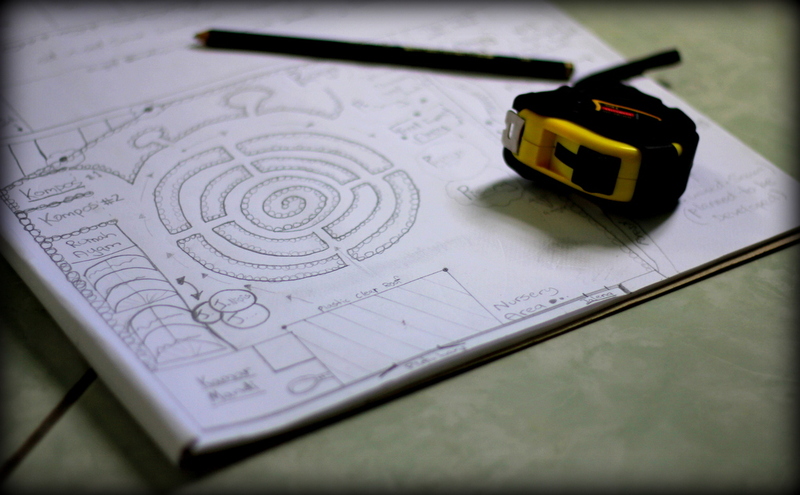 This is a very basic Mandala garden design which is similar to the one we will build. 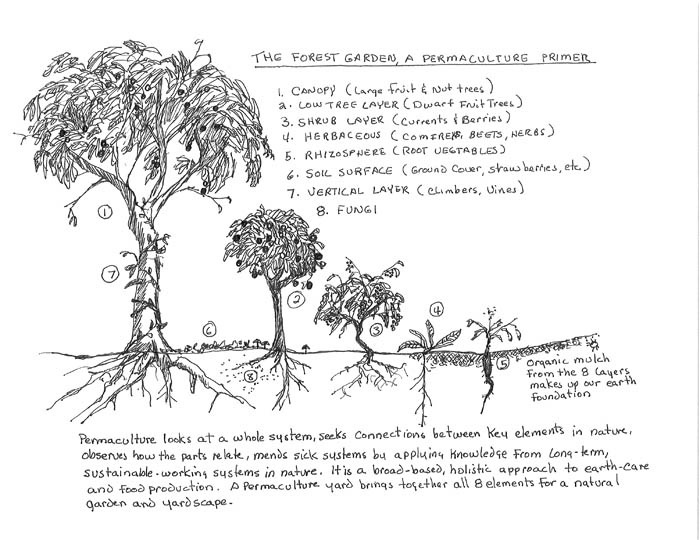 This illustration shows the garden as a living ecological community with it’s variety of layers and niche operating as a single interconnected system. 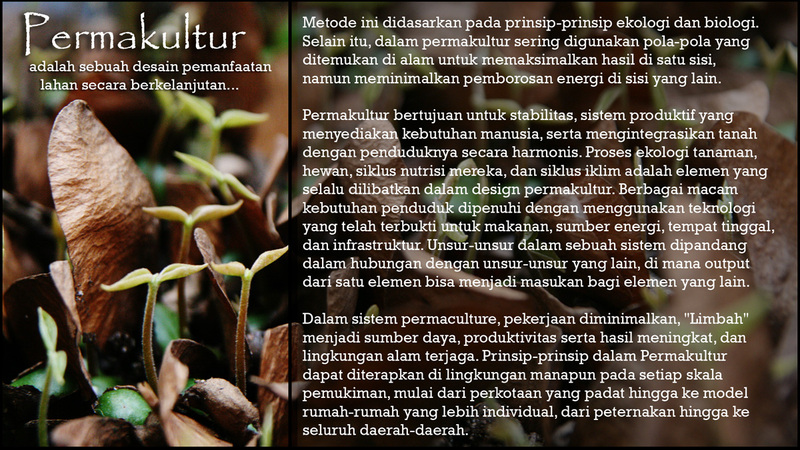 In case you still aren’t sure what this is all about, here is a good definition for ‘what is permaculture’ / ‘apa itu permakultur’. Hopefully see you on Sunday or at our next Permablitz. Hey Paulie, greetings from Singkawang! Please say hi to all your crew – the blog is awesome and love what you’re doing there! Look forward to visiting soon!